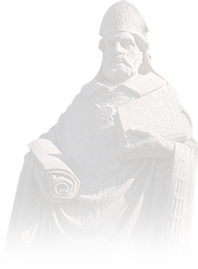 As St. Ambrose welcomes in a new school year and new students, the Galvin Fine Arts Center is preparing for a new theatrical season. 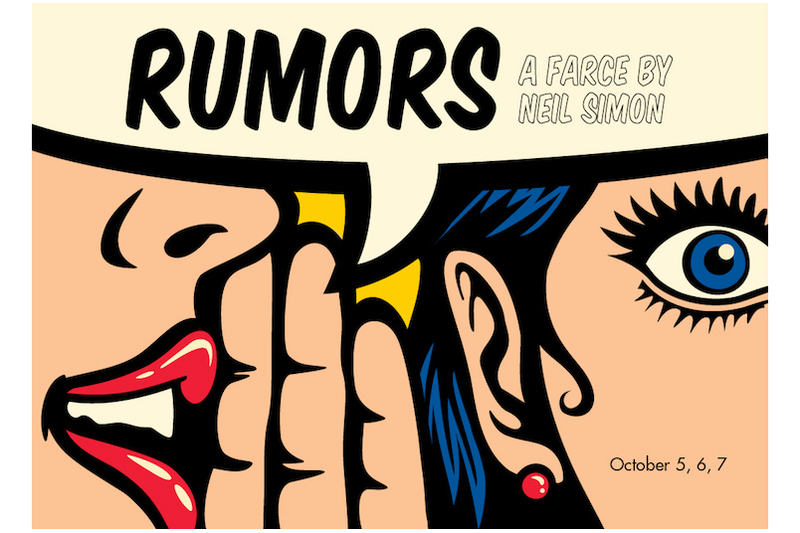 The first production on the main stage will be Rumors by Neil Simon. With the recent passing of this playwriting legend, it is more important than ever that we take time to recognize and appreciate the generations of brilliant plays left as his legacy. Known as the most prolific playwright of his time, Simon is notable for works such as The Odd Couple (1965), Brighton Beach Memoirs (1982), Lost in Yonkers (1991), and Plaza Suite (1969). His work earned him a multitude of honors and awards including a Pulitzer Prize for Drama (Lost in Yonkers), three Tony Awards for Best Author (The Odd Couple) and Best Play (Lost in Yonkers and Biloxi Blues), and Kennedy Center Honors, to name just a few. 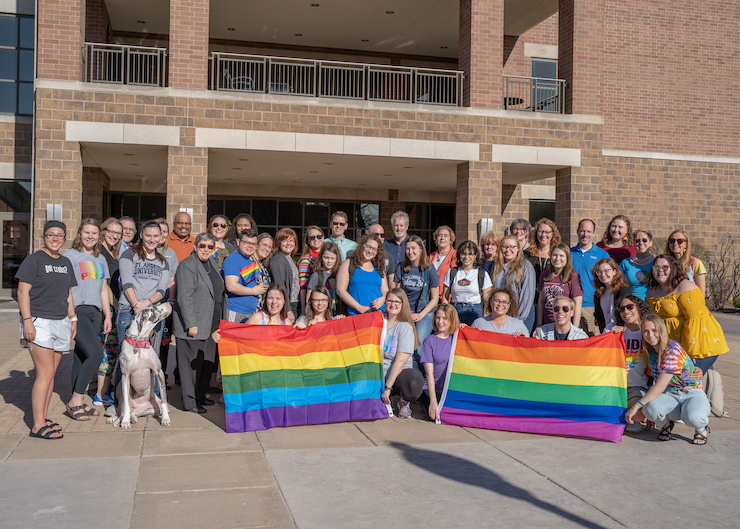 Though the news of his passing is heartbreaking, the SAU Theatre Department is grateful that Simon's plays, such as Rumors, can continue to be shared and that he can continued to be honored. 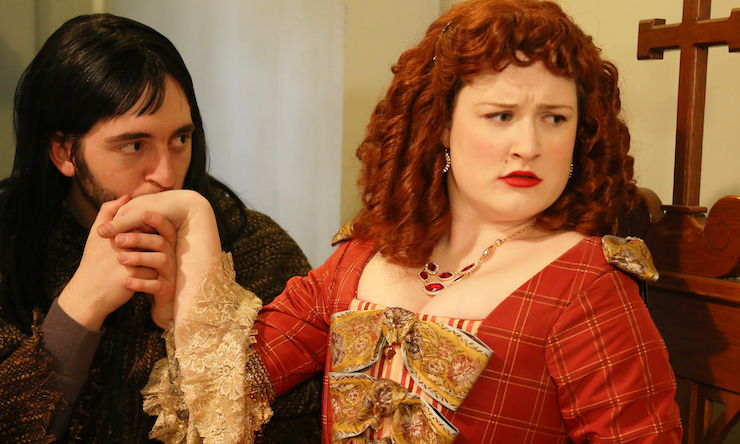 In this side-splitting farce, Simon invites the audience to join a group of couples that are attending a glitzy New York dinner party gone comically awry. Four couples are attending the 10th anniversary party of their friends, Charley and Myra Brock. It isn't long before rumors and not-so-stealthy cover up stories begin to fly. The guests try to put the pieces together and decipher fact from fiction as they try to learn more about the curiously absent hosts. Showing in the Galvin Fine Arts Center Oct. 5-7. Tickets are available online or at the door. The SAU Theatre Department is excited to welcome back several veteran actors to the main stage but also looks forward to seeing a few new, talented faces in the cast! When asked about his debut on the main stage, first-year student Joe Lasher said, "I am beyond thrilled to have this opportunity." He added that he looks forward to getting to know his fellow theatre students and learning from Dr. Corinne Johnson. The wonderful cast and crew have already hit the ground running in rehearsals to bring this comedic farce to life in a way that would make Neil Simon proud! Rumors will be performed on October 5 and 6 at 7:30 p.m. and October 7 at 3 p.m. Tickets are available at this link or at the door.